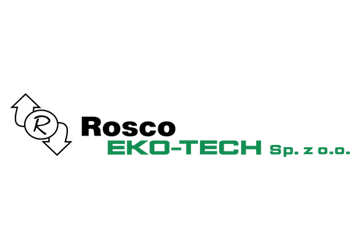 Rosco Eko-Tech Sp. z o.o. is an engineering company established on the European market in 2009 as an independent subsidiary of an enterprise operating mostly on the German market, i.e. Rosco Polska Sp. z o. o. since 1994. The main direction of our operations is comprehensive services in the field of supply and installation of steel devices and structures. From the outset of our operation, we work for European customers offering them the best Polish performance verified by the experience of many years. We products of the highest quality acquiring the trust of customers. We especially try to assist with the optimisation of technological processes and implementation of environmental protection solutions. On the basis of our own documentation and the documentation of our customers we execute devices for cement plants, power and timber industries, as well as chemical and glass industries. We supply our equipment and steel structures to European, American and Asian markets. Addressing the demands of our customers, we employ an assembly team whose members hold all the required international welding licenses and permits for working at heights. The assembly team supervisors consist of Polish, English and German speaking professionals. Our production capabilities include both steel structures of regular structural materials as well as stainless steel materials resistant to abrasion and to extreme high and low temperatures.